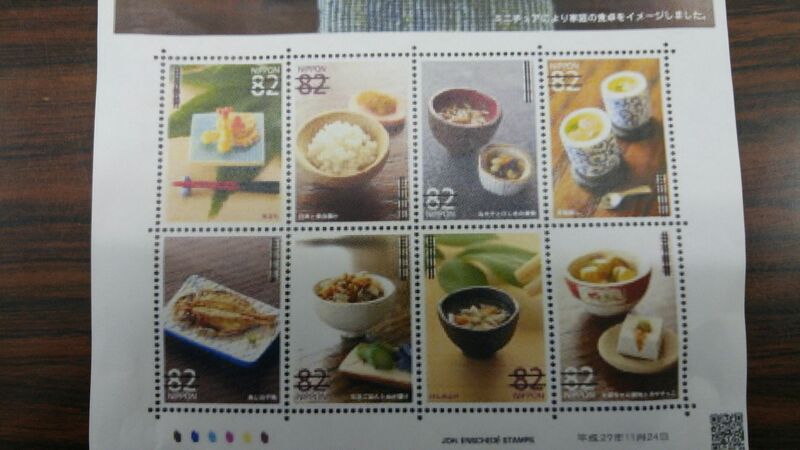 Everyday Japanese Home Gastronomy on Stamps 1st Series! 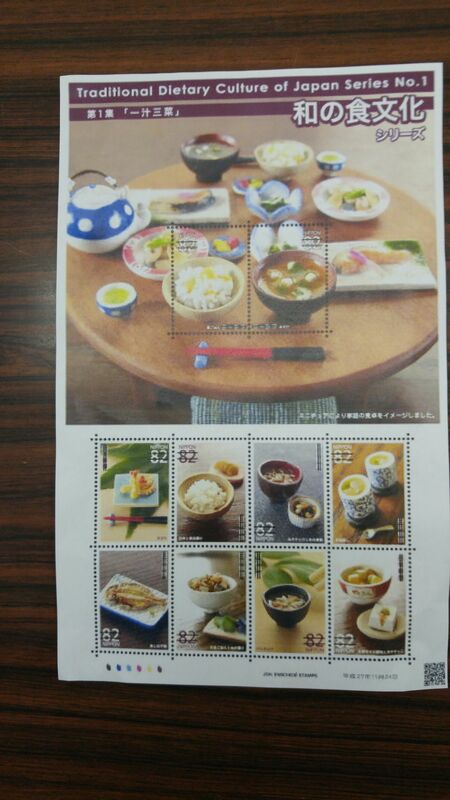 During a recent visit to the Post Office I notice this mini sheet of Commemorative stamps featuring 10 basic letter postage 82 yen stamps! 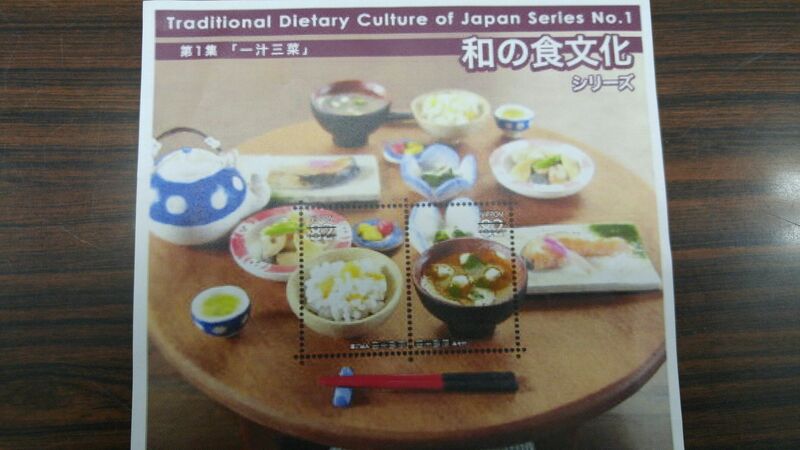 “Traditional Dietary Culture of Japan Series No 1! A slightly misleading title, but that is not the first one! The Japanese staple, steamed rice and miso soup! Mind you people do not eat that much fr dinner every day, but this is a good indication of homey food! Previous PostUnequalled Japanese HygieneNext PostDorayaki No Kawauchiya in Shizuoka City: The Best Dorayaki in Shizuoka Prefecture!